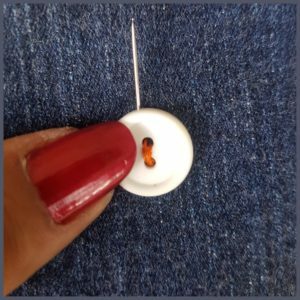 Before we get into different ways to use buttons as embellishments, I feel it is good to know how to sew on a button correctly. The item you wish to sew your button too. 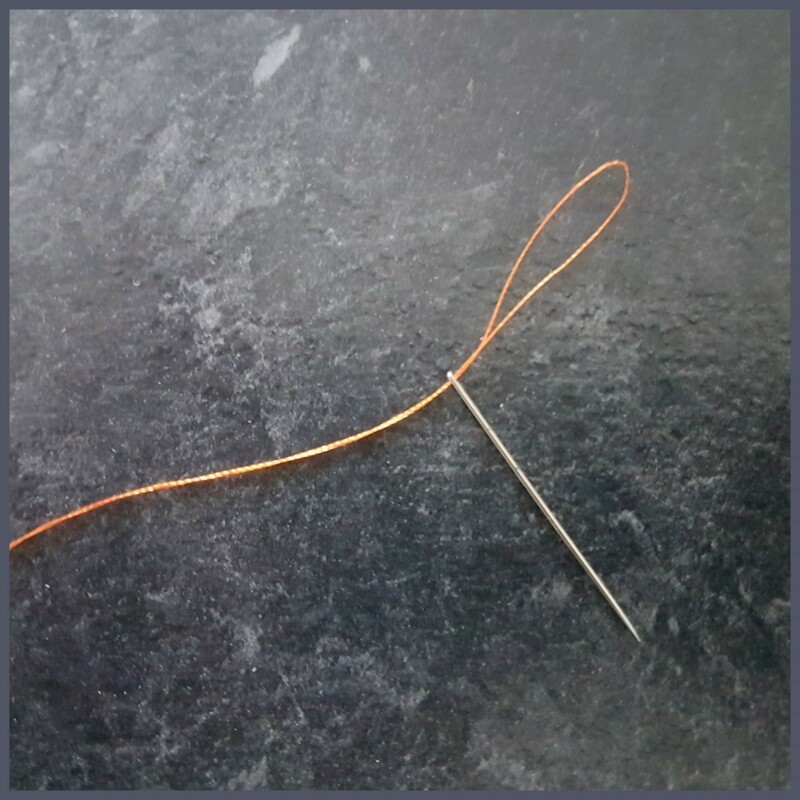 Measure approx 1 metre of thread in a colour that matches your button or fabric and cut from spool of thread. 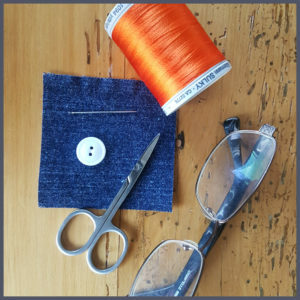 Thread the fold through the eye of the needle – this is why you need your glasses. 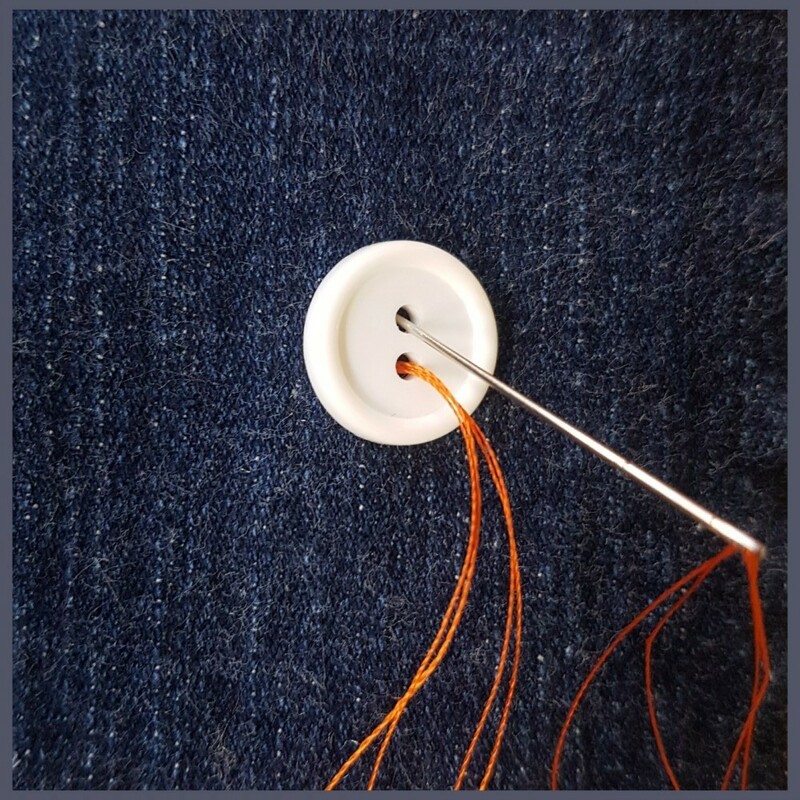 For a button to stay secure through wear and tear, it is advisable and good practice that the button is attached with 12-16 threads. 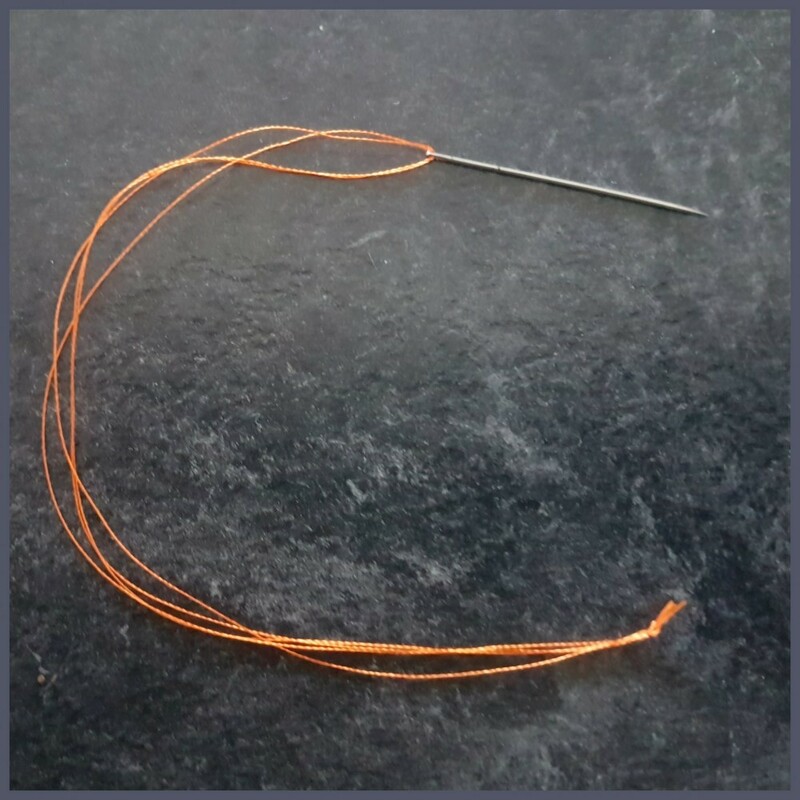 By threading your needle and having 4 strands, you only need to complete 3 – 4 circuits which saves you a lot of time. Bring you needle up from the back of your fabric to the front in the position that you would like to attach your button. 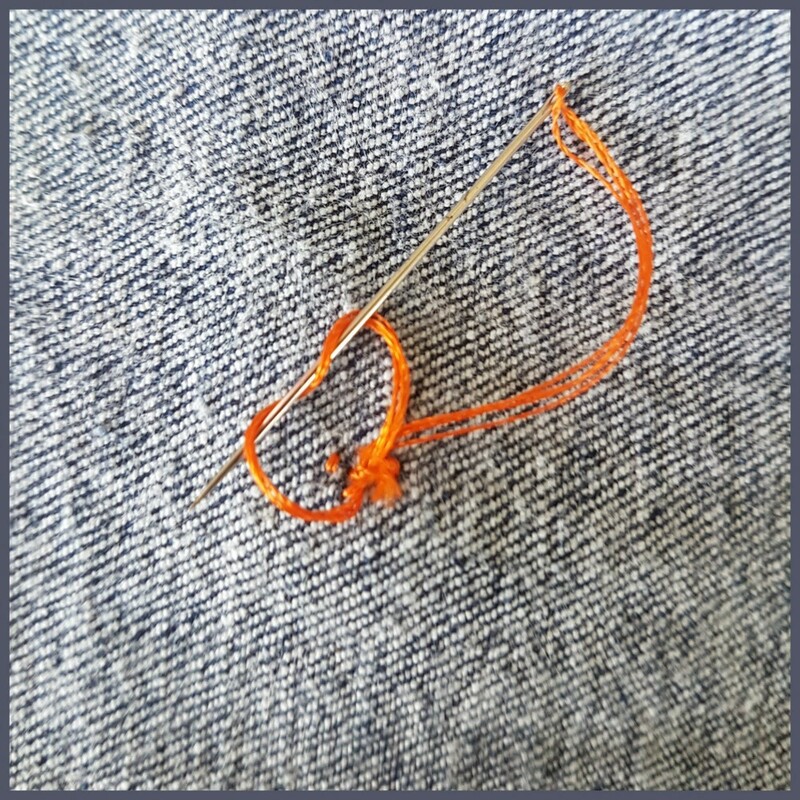 As you pull this stitch through, catch the loop that is forming underneath, (between your fabric and the original knot made in step 2) by threading your needle through it – this gives you an additional secure anchor. Make an extra small stitch now at the back of your fabric, as extra security to stop any knots coming undone. 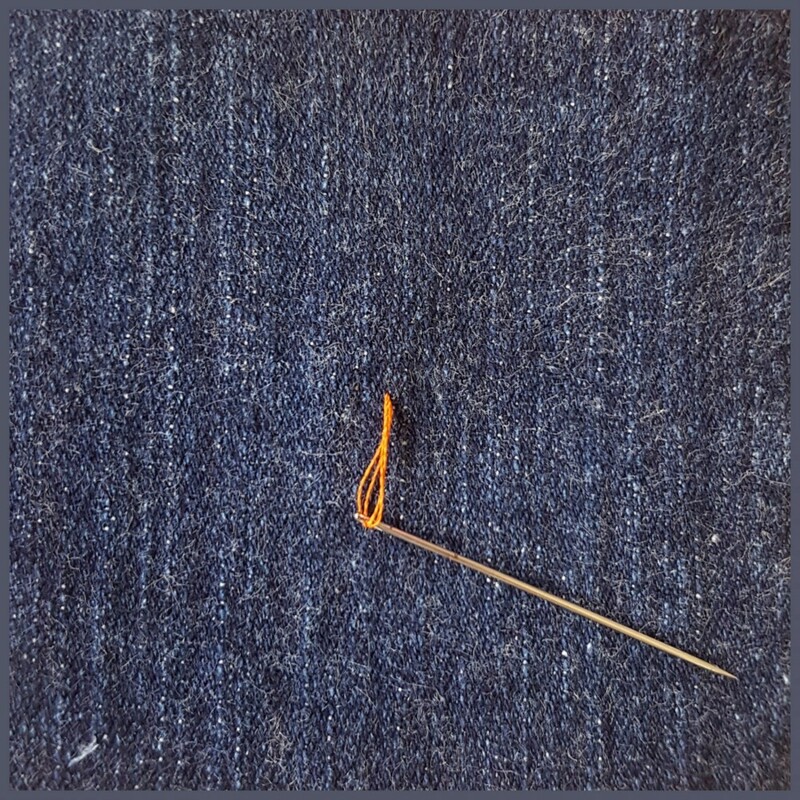 Insert your needle into the second button hole and push through the fabric to the back of your work. From the back of your work, come through the fabric and a button hole to the front. Then back down through the second button hole and your fabric to the back. This creates one circuit. Stitch 3 or 4 more circuits, which will give you the required 12 – 16 threads holding your button on. Bring your needle from the back to the front again, but this time instead of coming up through a button hole, come up behind the button close to your stitches. Wrap the thread approx 3 -4 times firmly around the stitches that hold the button -but not that tight that it puckers your fabric. Stitch back down from the front to the back, close to the “post”. At the back of your work, make a couple of small stitches to secure your button. 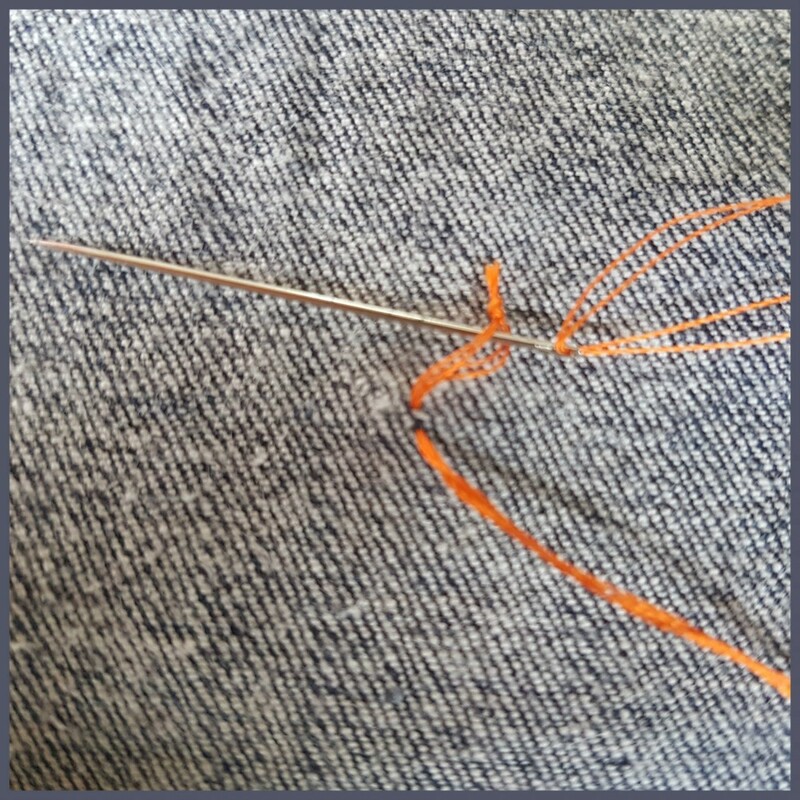 As you pull the needle up for the last time, make a knot in the loop that is formed by the thread pulling up. To make this knot, wrap your needle twice around the outer edge of the loop and pull up firmly. Brilliant! I have done this so many times in the past (poorly I might add!). It is nice to finally have a concrete measurement for the amount of string (it shouldn’t be too difficult to remember 1 meter). I usually just guessed how much I needed. Your work looks a lot neater than mine and is probably a lot stronger too. I will definitely give this a try as soon as the next opportunity presents itself. Thanks for the walk through! Thank you for your comment – i am glad that my walkthrough helps.